Currently in the U.S. there is a push for education to move toward online learning. In some schools, all day students are learning strictly on computers as evidenced in the Pilot School below. Language in the newly passed Every Student Succeeds Act (ESSA) will allow this ideology to grow. This raises many concerns for parents whose children will be affected. Listed below are just a few of those concerns. Research shows kids learn better from reading out of books than on computers. Screen devices wreak havoc with the brain’s frontal lobe. Screen time is damaging to a child’s developing brain. Computer use could even lower student test results. Let’s look at the future our children can expect if we allow this to continue. Legacy High School is one of the Pilot schools for 21st Century Learning using computer based technology for learning. 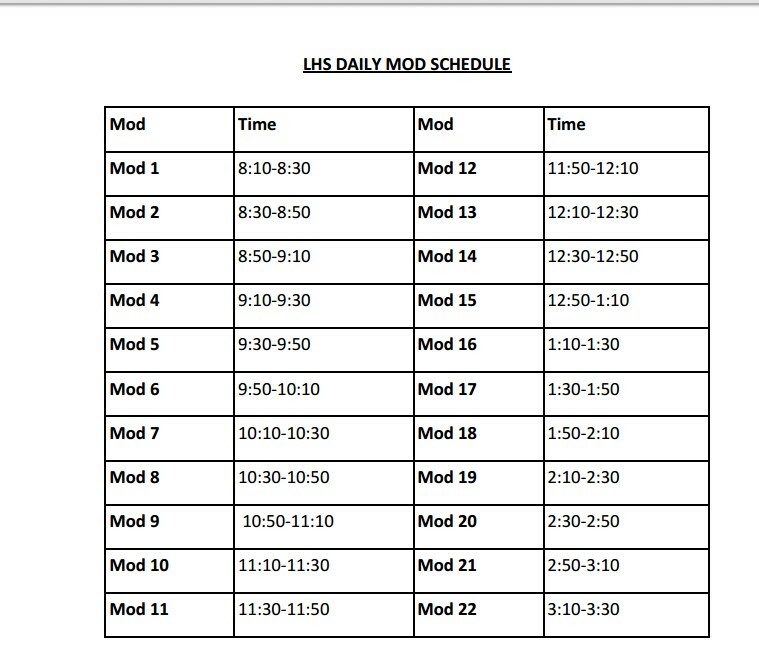 In the student handbook you will see the computer mod schedule. It looks like this. Technology might have a place in education, but to allow it to replace teachers is unthinkable and unconscionable. Due to the teacher shortage, some of these classrooms are staffed with business professionals, people who do not have a degree in teaching or any formal training about childhood development, to fill the void. Is this the direction we are headed here in Florida as well? “In June 2013, President Obama announced the ConnectED initiative, designed to enrich K-12 education for every student in America. ConnectED empowers teachers with the best technology and the training to make the most of it, and empowers students through individualized learning and rich, digital content. Preparing America’s students with the skills they need to get good jobs and compete with other countries relies increasingly on interactive, personalized learning experiences driven by new technology. Yet fewer than 40% of America’s schools have the broadband they need to teach using today’s technology. Under ConnectED, however, 99% of American students will have access to next-generation broadband by 2018. That connectivity will help transform the classroom experience for all students, regardless of income. Did I read that right? President Obama can do this without involving Congress? You can find more information about being future ready here. You can also see what private sectors may be benefiting from this initiative and how much money they have donated here. Equally disturbing is that our district in Pinellas County, FL needed money for technology due to the Digital Classroom Plan as required by Florida Law. Pinellas County Superintendent Dr. Grego signed the Future Ready District Pledge from the USDOE. The piece that is not being mentioned in any school board meeting I have ever attended or heard about is the data mining. How are local school districts going to secure our children’s data, and is it even possible? Like everything else in Education, why is this so rushed? Why can’t we just take a step back and analyze this before forging ahead? Why the secrecy? As parents, I hope we are all asking the same questions. There will be more details about the intrusive data mining in another blog. Stay tuned.